The weather last night might have been "fit" for a duck, but inside Cipriani 42nd, it was "FIT" for a king (actually, two kings and a queen to be exact). The FIT annual gala benefits the Educational Development Fund, which provides scholarship, technology, and student services support. Last evening more than 1.1 million dollars was raised. 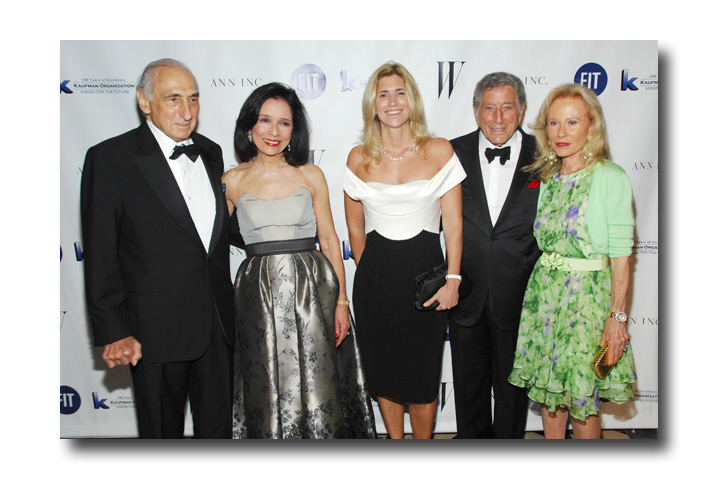 This year's stellar honorees were Kay Krill (president and chief executive officer, ANN INC.), Stefano Tonchi (editor-in-chief, W magazine), and George Kaufman (chairman, Kaufman Organization), a long-time supporter of FIT. Kaufman and his wife Mariana were honored for their $4 million gift which helped transform a former book bindery and office building located at 406 West 31st Street into a 320,000 square-foot residence for FIT students. The addition of the George S. and Mariana Kaufman Residence Hall, which opened in 2006 and houses 1,100 students in 497 private suites, doubled the college’s student housing space, helping to ease a shortage of on-campus housing. Gala Chairs included Pamela Baxter, president and CEO LVMH Perfumes and Cosmetics; Joy Herfel Cronin, group president, Menswear and Childrenswear, Ralph Lauren; Julie Greiner, chief merchandise planning officer, Macy’s, Inc.; Yaz Hernandez, trustee, FIT Board of Trustees; Jane Hertzmark Hurdis, global brand president, Estee Lauder; and Liz Peek, trustee, FIT Board Chair. The Gala Honorary Committee includes Reem Acra, Giorgio Armani, Dennis Basso, Edmundo Castillo, Maria Cornejo, Francisco Costa, Peter Dundas, Tom Ford, Monique Lhillier, Gilles Mendel, Narciso Rodriguez, Ralph Rucci, Angel Sanchez, Jill Stuart, Isabel and Ruben Toledo, and Vera Wang. Cocktails began at 7PM, and the celebrated guests who filled the room were testament to the star power of the honorees, among them: Mr. and Mrs. Richard Lefrak, Jack and Susan Rudin, Iris Cantor, Liz and Jeff Peek, Dr. Joyce Brown, Larry Leeds, Jean Shafiroff, Julie Macklowe, Mr. and Mrs. Wilbur Ross, Ari and Coco Kopelman, Tony Bennett, Jessica Chastain, Stan Herman, Steven Kolb, and fashion designers Alber Elbaz, Francisco Costa, Ralph Rucci, Isabel and Ruben Toledo, Peter Dundas, Maria Cornejo, Dennis Basso, Gilles Mendel, Jeffrey Banks, Nanette Lepore, and Lisa Perry. During the course of the evening Nanette Lepore, clad in a floral printed dress of her own design, recalled that something I selected from her line back in the 1980's (she had a store called Robespierre) made the cover of Harper's Bazaar. 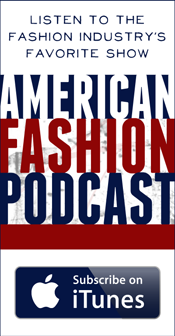 Lisa Perry, who just put the finishing touches on her pre Spring 2014 collection yesterday, is excited about Spring, which will once again be presented in her Madison Avenue flagship in September. 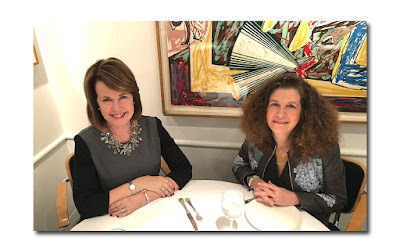 I also had an interesting conversation with Tatijana Shoan, editor-in-chief of As If Magazine, www.asifmag.com, a large-format (12" X 17") quarterly luxury publication, who was there with fashion illustrator Bil Donovan, who is featured in their upcoming issue. Created by Ms. Shoan and Scott Fishkind, As If focuses on "the realms of artistic expression and the visionaries behind them" and features "individuals who have made a creative mark in our society in fashion, art, design, and architecture, music, film, and business". (This seemed especially apropos considering that the attendees last night were culled from all these worlds). The inclement weather did not put a damper on the fashion choices made by guests. It was all about variety: there was long, short, and everything in between. Yaz Hernandez wore a long sleek, form fitting, navy jersey gown with asymmetrical cut out top by Peter Dundas for Emilio Pucci; Karolina Kurkova was in a simple yet dramatic royal blue long halter dress; Jean Shafiroff chose a green and pink strapless full skirted gown by Oscar de la Renta, Spring 2013; Lisa Perry was in a 60's mod inspired (what else?) short white dress and jacket featuring clear plastic insets, of her own design; Anh Duong looked chic in a white skirt suit featuring a sculpted jacket: it was a riff on the tuxedo and she was there with Francisco so I assume it was a Calvin Klein design. But the hands down winner was actress Jessica Chastain, who seems to be everywhere these days . She was at the CFDA Awards looking fabulous in a black Ricardo Tisci dress, and is always looking perfect. She may not have taken home the Oscar for her role in Zero Dark Thirty, but she looked every inch a gold statue in her one shouldered knee length gold dress. She was there to present the award (which was done after dinner), to Stefano Tonchi. The legendary Tony Bennett did the honors for his longtime friend, George Kaufman, but while he did not surprise the crowd by reprising his rendition of "I left my heart in San Francisco" (it's New York anyway), that doesn't mean there were no wonderful surprises. Model Karolina Kurkova presented Kay Krill with her award, during which time she announced her commitment from Ann Inc. to endow a full year scholarship annually (and forever) to an FIT student with a "passion for design".